Now be honest – there’s a good chance you saw these donuts and thought “Yum, I would eat those,” before realizing that they were made out of wood. Don’t be embarrassed! I had the same reaction when I saw these DIY Donut Coasters. They truly look good enough to eat! 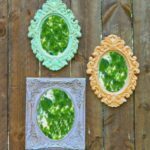 This easy DIY project will help bring a little bit of color and a whole lot of cute to your home. 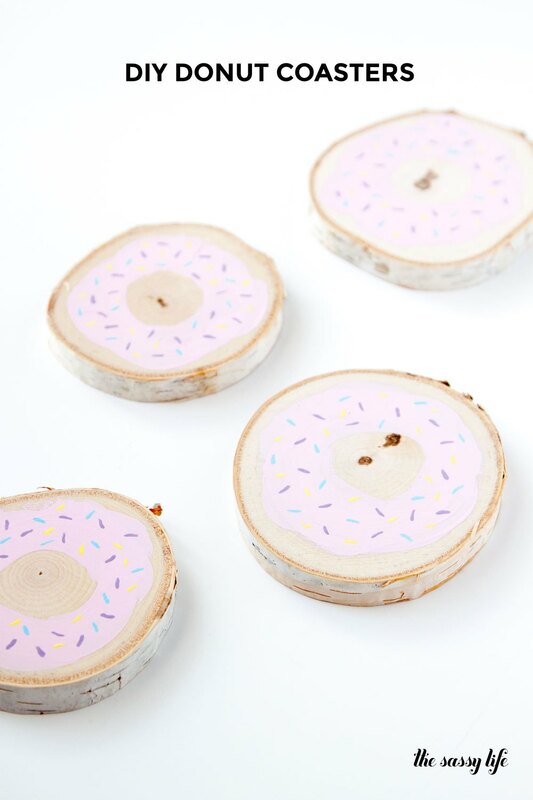 These wooden coasters can be decorated to look like your favorite flavor of donut, and they can be customized to match with your already existing kitchen decorations. 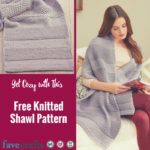 These easy DIY wood crafts also make perfect gifts! Just imagine giving these adorable homemade creations to a friend who appreciates the sweeter things in life just as much as you do. 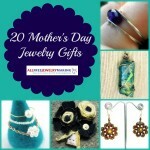 She’ll love that you took the time to hand-make a gift for her, and she won’t be able to get over how cute they are! Love it yet? 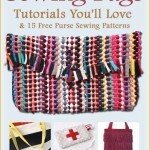 Find Instructions at The Sassy Life! Let us know—what DIY home decor projects do you want to make? 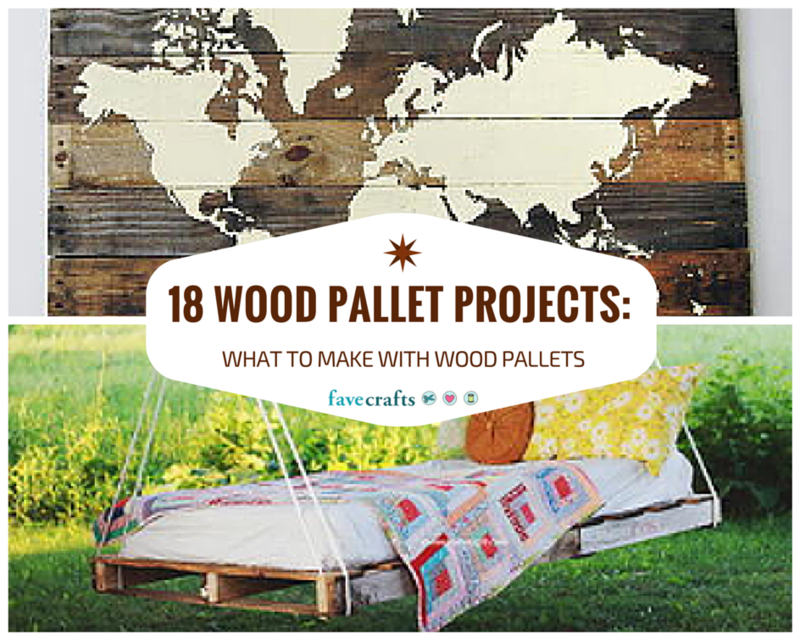 Wood pallet projects are something that should be on the bucket lists of every crafter out there. Not only are wood pallets incredibly easy to work with, but they are also very cheap and easy to find. 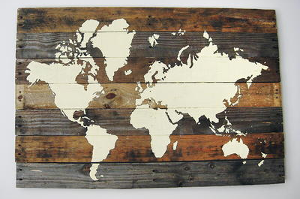 Add the fact that anything made of pallets looks extremely stunning, and you have the perfect craft. These pallet ideas can add a nice country charm to any home. If the rustic life is not your style, however, have no fear! Wood pallets are one of the most versatile materials to craft with, so you can tweak these wood pallet ideas however you want to get your desired style. If you love the look of wooden pallets in your home decor, then why not try incorporating wood pallets into your furniture? These wood pallet furniture ideas will leave your home looking rustic and charming. 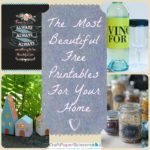 You won’t believe how easy these DIY furniture ideas are, not to mention thrifty—for most of these projects, all you need are some old wood pallets and nails. You can’t beat that! If you’re not ready to incorporate wood pallets into your large pieces of furniture just yet, then it might be a good idea to start smaller. Try making some wood pallet decorations, and I promise you’ll get hooked. These wood pallet projects are perfect for any part of your home, from the kitchen to the garden. How have you incorporated wood pallets in your home? Popsicle sticks are a very underrated craft, and that makes me very sad because you can do so much with popsicle stick projects! There are people who make small scale castles and houses with them with clay plaster for a roof. I can’t even make a successful coil pot. 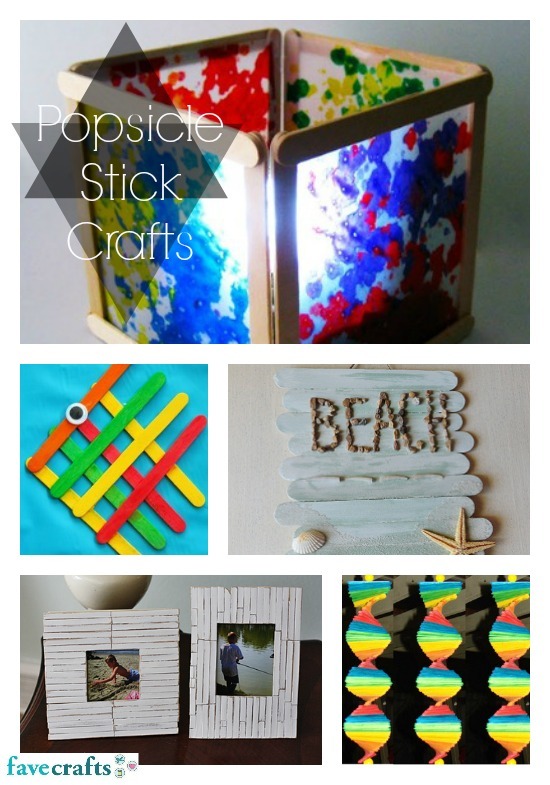 The great part about popsicle sticks is that they can be used for home decor or outdoor crafts. I promise you aren’t confined to mere kids’ crafts with these. I did list them, because these are a fun way to help with their motor skills with the glue bottle, but there are some fun cheap decor ideas that you can utilize with this easy craft material for your house and home. We want to know: did you buy the popsicle sticks or get a box of popsicles first? 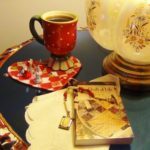 If you want to achieve a vintage look without spending the money on old relics from the antique store, distressing or whitewashing the items yourself is a good way to do it. White washing gives a wood piece, frame or furniture that beach-esque, vintage feel without looking like a piece from your grandmother’s living room. Not that there’s anything wrong with Grandma’s furniture! Before you start, try the white wash on a smaller piece of wood or furniture to be sure that the result is desirable on your larger project. Remove any paint on the surface of your item by rubbing it with sand paper. Make sure you use even pressure and sand it until the surface is smooth. Using a damp cloth or rag, wipe away any excess dust before beginning the white wash process. With another rag or a brush, apply the stain to your piece. Don’t be shy, lather it on! Allow the stain to sink into the piece of wood, and then wipe away any excess stain with a dry cloth. Let dry for 3-4 hours. After that, if the piece needs an additional coat, apply another one. After the last coat of stain is applied, let the piece dry for 24 hours before using it. If you like this project, check out more Wood Crafts. Wood: To Burn or Carve? Call me old-fashioned, but I tend to like the look of wood over more “modern” materials such as steel or plastic. Can you really snuggle up in a steel chair? For me, decorative wood accents with burned or carved designs give the feel of a cozy country home, complete with fire crackling and big dogs lounging about. Maybe that’s just me. We have quite a few new projects, using both woodburning techniques and woodcarving techniques. I can’t decide which I like better. 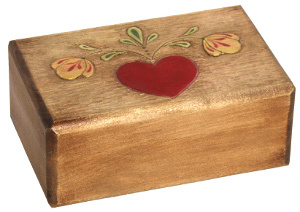 I just love the look of this Carved Heart and Flowers Box. The design is pretty and delicate, but not old-timey. I can imagine storing my modest jewelry collection in this box. 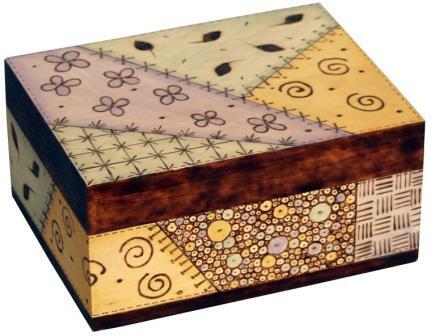 Then again, I’ve never seen quite such a unique woodburned design as this Quilt Pattern Woodburned Box. The box is colored with “oil pencils” which sound like great fun. What do you think? 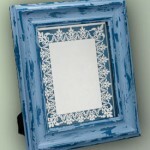 Is woodburning or woodcarving the more attractive craft? It’s here! It’s here! Today is finally a nice day! Although it’s supposed to rain for the next few days or so, at least you can get some outdoor work done in between. The rain is taking care of your lawn, turning it green and making sure it’s fed just enough to look great this season. Now it’s your turn to make sure it looks perfect. Add some decorations to your lawn and make it yours. The bee garden stake is a great craft for the outdoors. 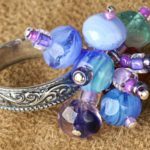 It adds just a little bit of jewels and bling to make your lawn or garden sparkle. 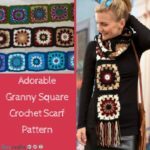 Make your grass the talk of the town with your homemade crafts! 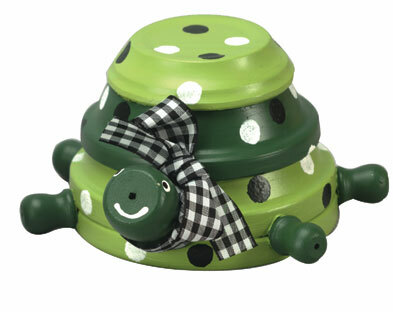 Another cute craft you can add is the terra cotta garden turtle. This turtle can be made in eight steps and it might help run off the other animal you don’t want in your yard. It’s a cute craft that I would love to have in my yard! What kind of decorations do you have in yours? Now is the time to start your summer garden. Spring and summer are the perfect times to redecorate your house or even your child’s room. Kids can often get bored easily and want to change the look of their room. 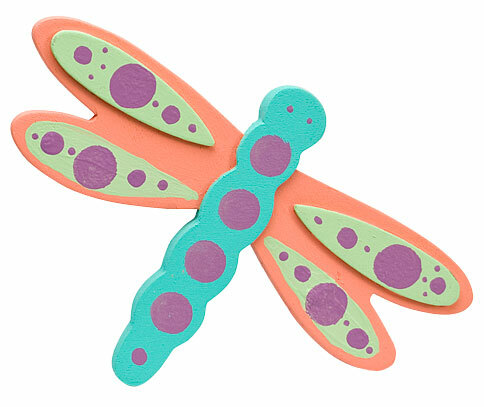 What a great way to decorate then to make a colorful dragonfly for the walls? 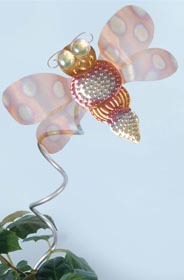 You can make multiple dragonflies in different shades and colors if you’d like. It’s done in six easy steps and your kids can help make it. There are so many other ways you can decorate your child’s room. 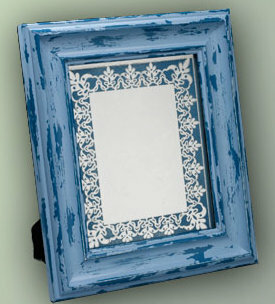 There are cute frames you can hang such as the dot frame trio. It’s triple the fun and memories. 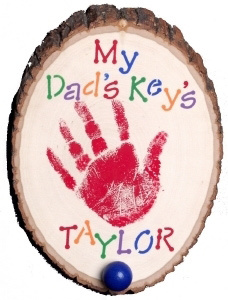 This craft is done in three steps and there’s no doubt your kids can help out with this one. They may need some supervision with the painting….just so they don’t paint the walls instead! Have fun this spring and redecorate! DIY Clocks- Great for Father’s Day! Walnut Hollow sent us two projects for decorative clocks that I am very excited about. I’ve never thought about making my own clock, but Walnut Hollow makes it easy. 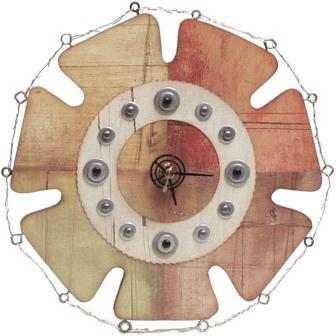 These clock crafts seem like perfect Father’s Day gifts too, especially the first one, which has more of a rustic-feel. I love the gear hands on this Cottage Clock Project and the way washers of various sizes stand in for the numbers. The metal wire makes it industrial-chic. 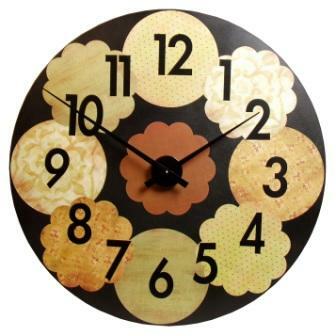 This Big Circles Clock project uses scrapbook paper on the clock face. The look is elegant but fun.